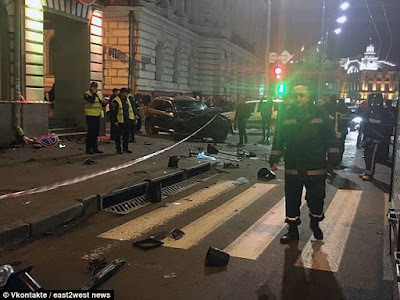 A 20-year-old Ukranian heiress jumped a red light then rammed into a crowd, killing six and causing injury to some others. 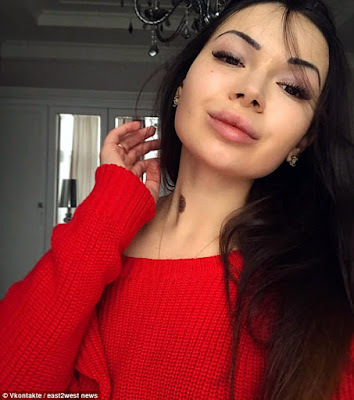 There was carnage on the streets of Kharkiv, in Ukraine, after Alyona Zaitseva's Lexus mowed down people waiting on the pavement at a pedestrian crossing before flipping on its side. An onlooker who was caring for the injured said it was so bad, it was like a war zone. A 15-year-old schoolgirl was among those killed. 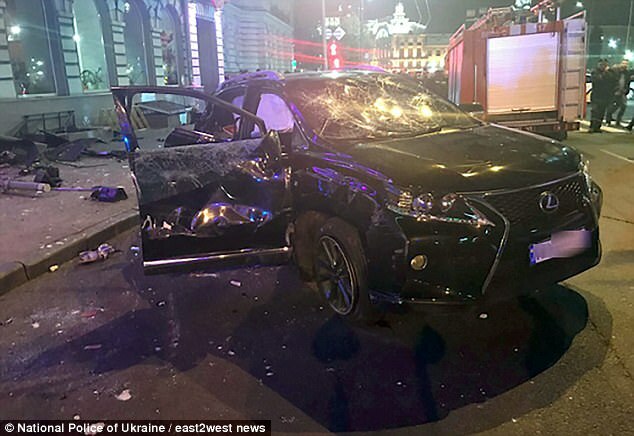 Alyona, the daughter of local energy company multi-millionaire Vasily Zaitsev, was uninjured in the crash. The crowd was so furious after the crash that Alyona's armed bodyguards had to immediately drive up in two jeeps to protect her from them. 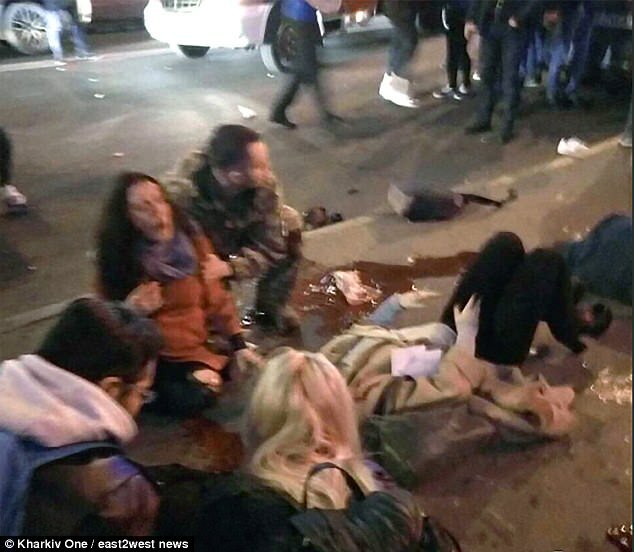 The glamorous heiress was detained initially for three days following the crash. Police said she was found not to have been drinking before the crash. 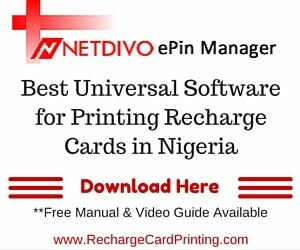 If convicted, she faces up to ten years in jail. Local bloggers expressed fears that because of her powerful father she will go free despite claims that she sped through the red light. 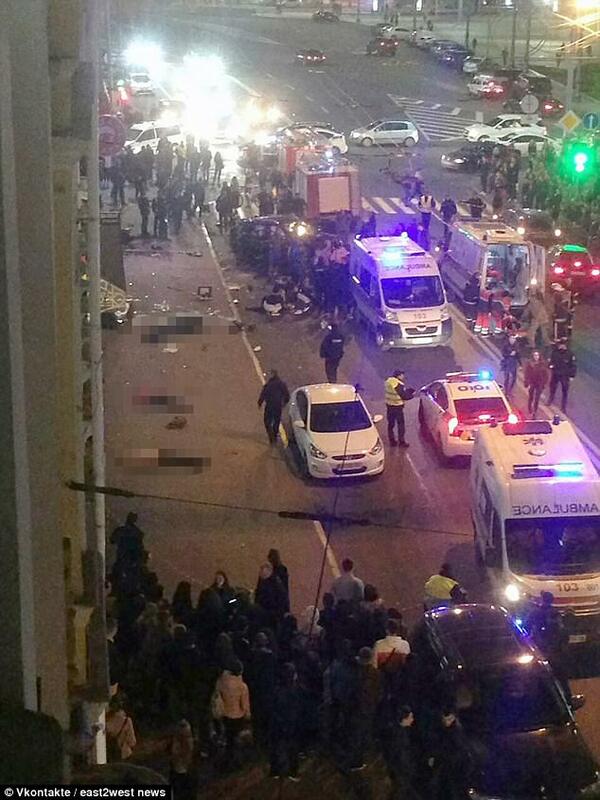 A shocking video of the aftermath of the crash showed bodies strewn on the pavement. Among the seriously wounded is a woman who is seven months pregnant, described as being in a grave condition in hospital. 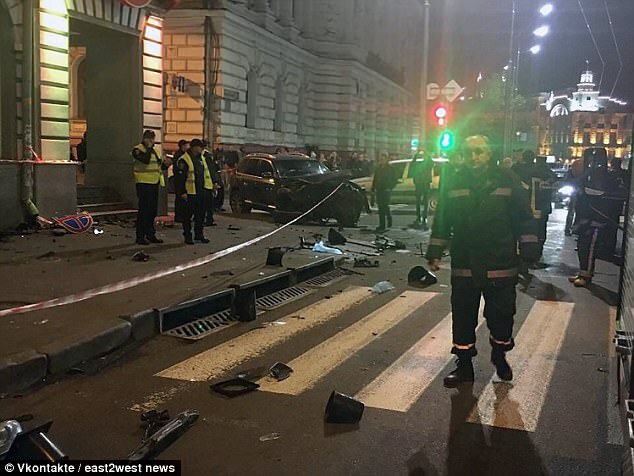 Carnage as Ukrainian heiress, 20, jumps a red light and kills six people when her car smashes into pedestrians, forcing her armed guards to protect her from angry crowds.